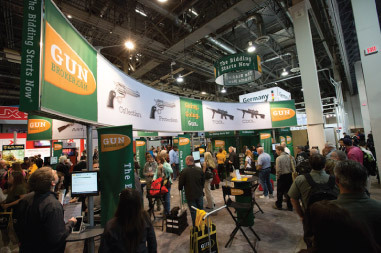 Every year, we head to the SHOT Show® in Las Vegas, the largest trade show of its kind. Over the years, we’ve learned some tips and tricks, so find out from the experts what you need to know about SHOT Show 2017! Learn about the SHOT Show’s Sands Expo Center and how you can get tickets and answers to frequently asked questions about SHOT Show like directions, attendance and sponsors. Remember to check back frequently for updated convention news and announcements. 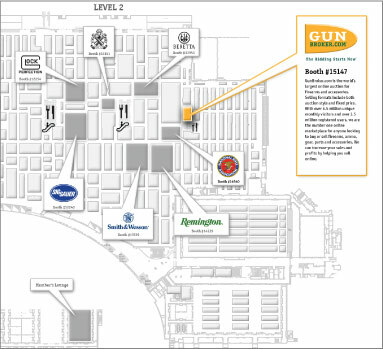 Don’t forget to check out important information below like the main events at SHOT Show 2017, must taste dishes from our favorite restaurants in the area, what surprises will be waiting at the GunBroker.com booth and more! The largest trade show of its kind. A summit for thousands of professionals from the firearms, ammunition, hunting, and shooting accessories industries. Over 1,600 exhibitors are attending SHOT Show this year from over 100 Countries. Booth space alone covers over 630,000 square feet. Over 62,000 industry professionals from all over the world will be attending SHOT Show 2017. Registration for SHOT Show opens in April. You must be in the shooting, hunting and outdoor trade or be a commercial buyer and seller of military, law enforcement, and tactical products and services. SHOT Show is an industry only trade show and is not open to the general public. The headquarter hotel for SHOT Show 2017 is The Venetian/Palazzo. SHOT Show attendees have been staying here for years and are always pleased with the service, the rooms, and the convenient location. 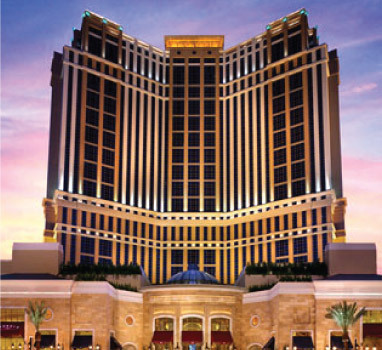 Other official hotels are offered through onPeak, SHOT Show’s official housing partner. Here’s how to book your room and learn more about The Venetian/Palazzo & other official hotel offers and amenities. NSSF is pleased to announce that Executive Producer, Narrator, and TV Host Mike Rowe will provide the headlining entertainment for the 2017 SHOT Show State of the Industry Dinner. NSSF’s annual State of the Industry Dinner will take place the first evening of the 2017 SHOT Show, Tuesday, January 17, from 6:30 to 8:30 p.m. The evening will begin with a cocktail and hors d’oeuvres hour. Following the social hour will be a gourmet dinner, then a variety of industry award presentations and the state of the industry address by Steve Sanetti, NSSF President and CEO, before the stage is given over to Mike Rowe. On Wednesday, January 18, the GunBroker.com Top Seller Reception will be held starting at 5:00 PM. This reception is a chance for GunBroker.com to show our appreciation for those top seller who help make us successful. We appreciate all of our customers, both sellers and buyers, but the partnership we have with the Top 100 Sellers is especially important to our mutual success. GunBroker.com will be hosting the SHOT Show charity auctions for the 13th consecutive year! Visit our website near the second to last week in December to bid on this year’s guns and knives. The auction will include this year’s rifle which will receive over 150,000 views. There will be other items available as well so make sure you check them out and bid before the auctions close. Bidding will close at 5:00 PM ET on January 20, 2017 and all proceeds will go to the Hunting Heritage Trust. GunBroker.com is a proud helper in donating to the Hunting Heritage Trust, and not-for-profit that relies on support from other organizations. Learn more about the Hunting Heritage Trust. Free-Play Slot Machine: Stop by booth #15147 at SHOT Show 2017 to win a free prize playing our in-booth slot machine! 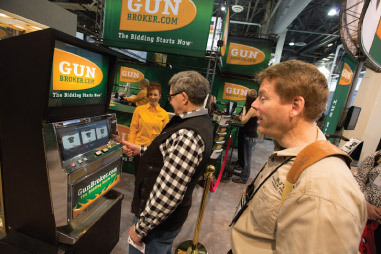 Each year that GunBroker.com is at SHOT Show, we provide slot machines in our booth, where every player is a winner! Items you’ll be able to win this year include a duffel bags, boonie hats, tumblers, shooting glasses, playing cards, earbuds, shirts, collectible “SHOT” glasses, and more! Be sure to stop by booth #15147 to win your FREE prize! We will have some great giveaways in store for you at SHOT Show this year. Be sure to stop by our booth for GunBroker.com and GunGenius.com merchandise like Monster shopping bags, decals, koozies and more. GunBroker.com API (application programming interface) team members will be available at SHOT Show to discuss the technical aspects of using the REST API. Sellers that would like to programmatically connect their computer system to GunBroker.com via the API can review specific calls and parameters. The 2017 SHOT Show auctions on GunBroker.com feature a “Western Heritage” tribute highlighting the artistry of legendary and modern names in the sporting firearms industry, including Baron Engraving, Bianchi, Colt, Evans, Van Horn, Turnbull, Winchester and more. These one-of-a-kind items will be on display at the GunBroker.com booth all 4 days of the show, so remember to stop by before 2:00 PM PST on Friday afternoon to check them out. GunBroker.com is the exclusive sponsor of the NSSF Member Lounge and Business Center for SHOT Show 2017. 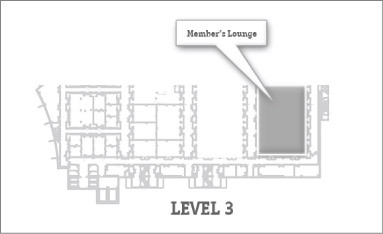 Here NSSF Members will be able to enjoy perks and amenities available to members only, such as free wireless service! After an exciting day at the SHOT Show, take a look at some of GunBroker.com’s favorite restaurants – whether you’re looking for a quick meal, a nice sit-down restaurant, or the best steak around, you’ll be sure to find it in Las Vegas during SHOT Show 2017. The Breakfast Beignets are a must! Boozy Milkshakes are fun and delicious. The traditional first stop when in Vegas. Don’t miss the duck & foie gras ravioli. The Teppanyaki is a must try. Great steaks and out of this world sides. Creative sushi. Definitely worth the trip.